Virtual Ability: Is 260 sit-ups too many? Is 260 sit-ups too many? It’s not if you’re an avatar working out at the Fitness Center over on Virtual Ability’s Healthinfo Island. Of course, the issue of finding an accessible fitness center in your local town or city is a whole other challenge. Everyone benefits from regular exercise! In a recent article on the Disability.gov website, an article entitled “Disability Connection: 10 ways to Stay Healthy and Well-thy” https://www.disability.gov/disability-connection-newsletter-february/ offered helpful tips. And, the Northwest Regional Spinal Cord Injury System at the University of Washington School of Rehabilitative Medicine http://sci.washington.edu/info/newsletters/articles/09_fall_fitness_centers.asp provides a downloadable article with additional tips, as well as a Fitness Center Accessibility Checklist and a quick review of your civil rights (USA) to equal access. While most of us won’t manage 260 sit-ups anywhere other than in a virtual world, it’s not a bad idea to become aware of the options, challenges, and proven approaches to accessing fitness centers wherever we live. At Healthinfo Island, however, there are some added benefits to a quick virtual workout. One benefit? Lack of sweat! Another? After you stretch and cool-down, you can browse an herb garden, learn about healthy eating, or explore interactive walk-through poster sessions on timely health and wellness topics. 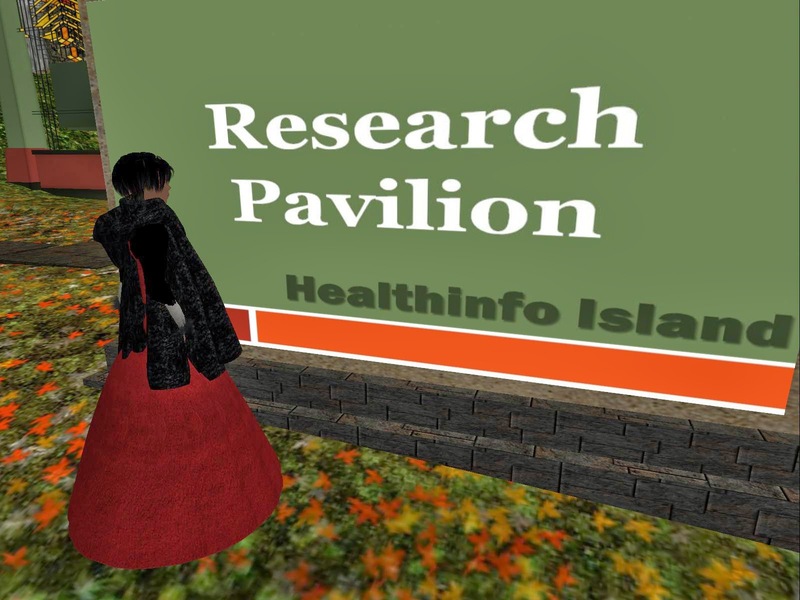 There’s even a Research Pavilion nearby, where people with disabilities in Second Life® are invited to participate in and become aware of various research projects being implemented by universities and other organizations around the world. Using a fitness center at Healthinfo Island is easy. Finding one that works for you in your regular life might take a bit more patience, persistence, advocacy, and work. But then, improved accessibility benefits everyone. Books that are virtually free?